Do you love to shop resale and consignment?? Would you LOVE to win a shopping spree this summer?? Well I have teamed up with Shameless Resale to do just that!! As you probably know by now, I am a HUGE fan of consignment/resale shopping. I have found some of my most loved items in consignment shops, while avoiding having to pay full retail price! It also gives you a chance to find something different, that not everyone else is wearing. 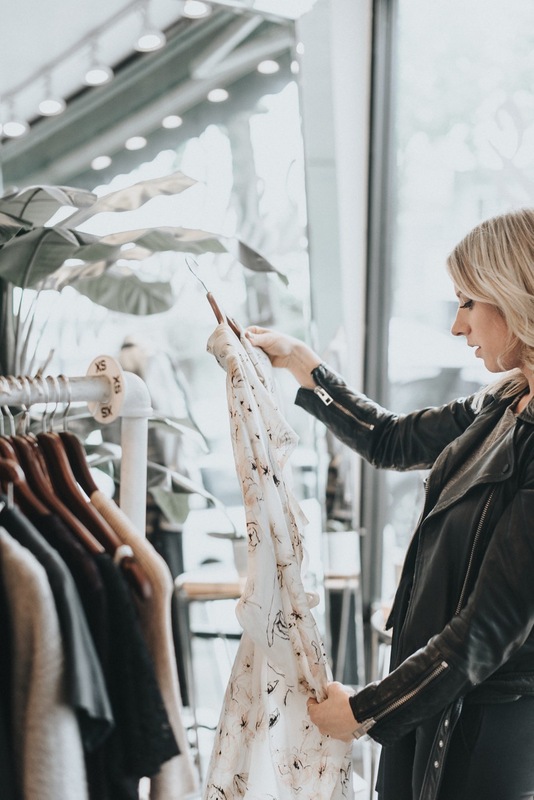 Shameless Resale recently opened their shop doors on Main Street in March, and already have an AMAZING selection of resale clothing, shoes, bags and accessories. I checked out the shop one sunny Wednesday a couple of weeks ago, in a neighbourhood that I am both familiar and very fond of. Located right on Main Street amongst many a cute coffee shop, restaurant and other retailers, Shameless catches your eye from the street with their gorgeous window display. Owner Courtney is both extremely friendly, and knowledgable. 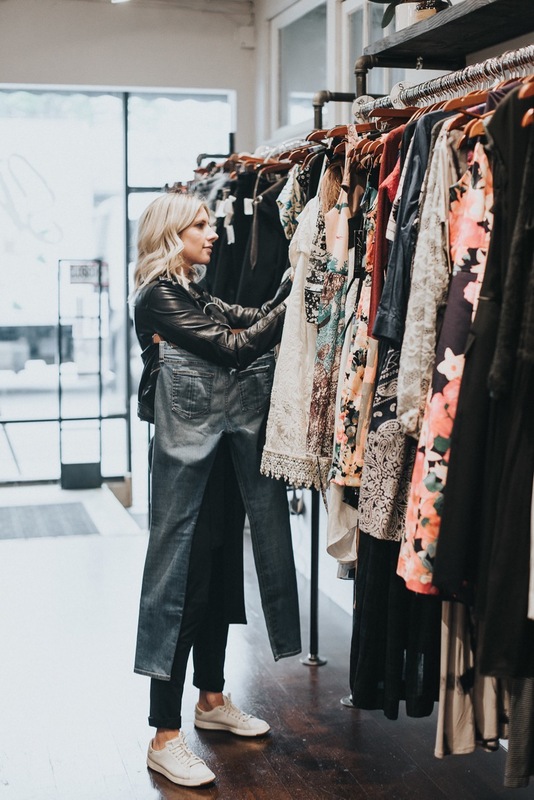 She has worked in the clothing resale industry for over a decade, and has a great eye for buying. This shows in her inventory!! I was immediately drawn to several items before making a few steps into the shop. There were a variety of summer styles available – from casual everyday wear, to workwear to wedding guest attire. 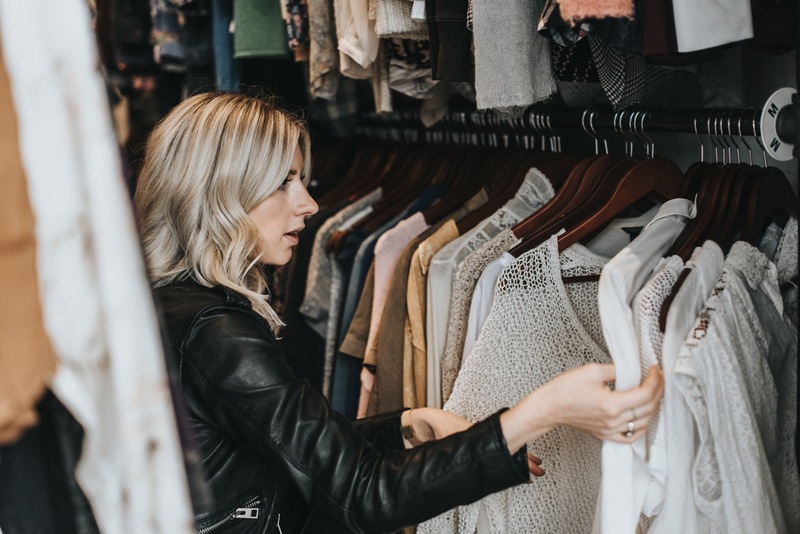 Brands like Aritzia, Citizens of Humanity, Celine, Stuart Weitzman and more! All prices are a fraction of their original retail price. I put together three looks to show you just a handful of the great items available in store now. 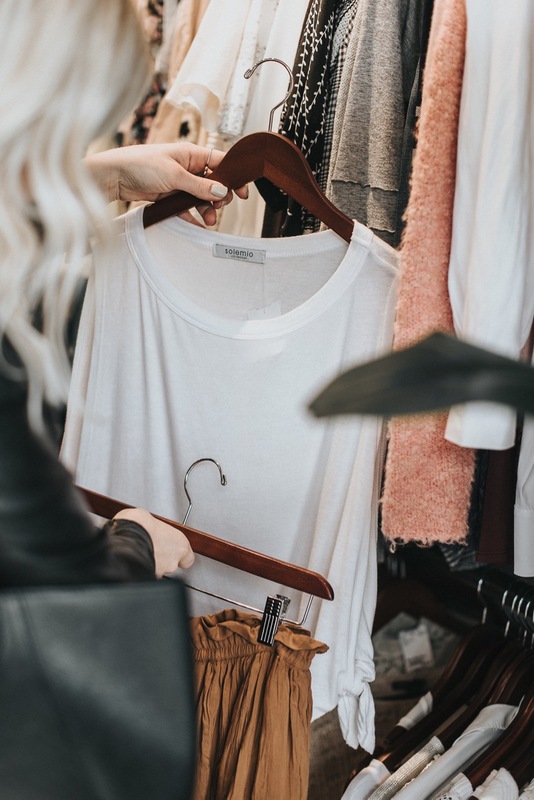 You can still find current trends, and build your wardrobe for summer while shopping consignment! As wedding season is well underway, it is that time of year when many women are struggling to find something to wear! 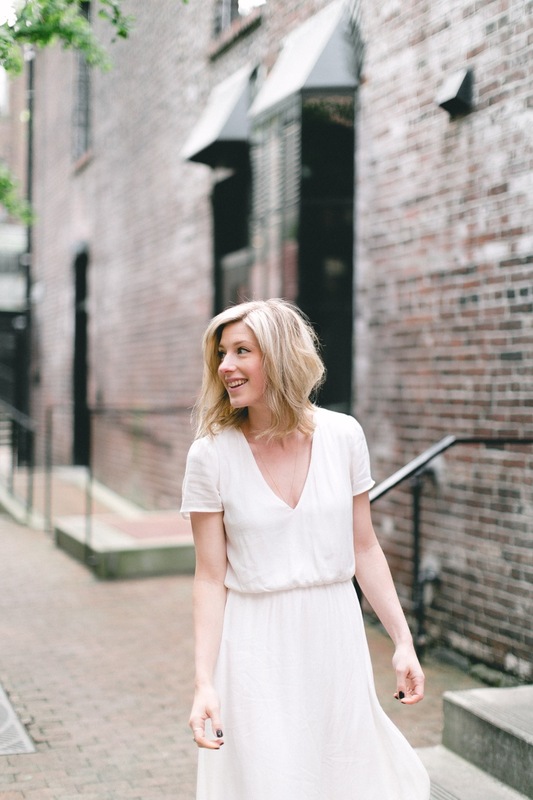 I love the idea of shopping for a wedding outfit where there are no multiples of any dress. Shameless has a ton of options to choose from. This 3.1 Phillip Lim dress has beautiful tailoring, and a classic cut. 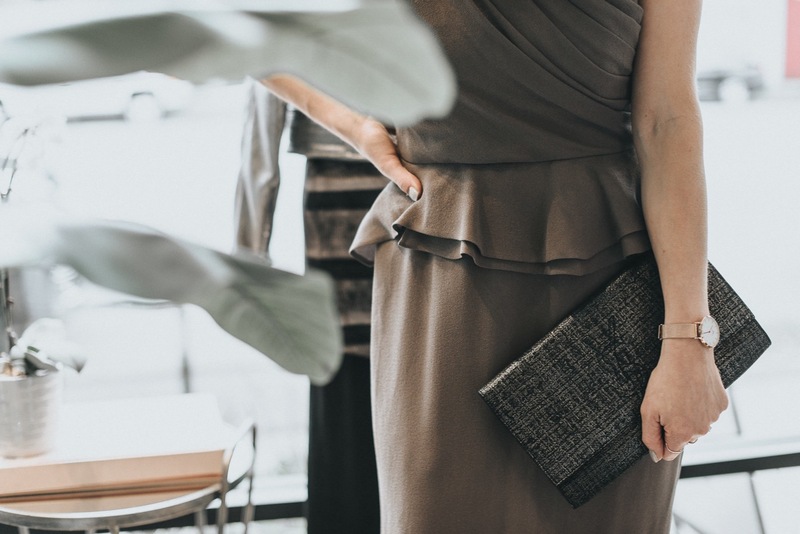 The light taupe colour can be worn year round. Brand new with tags! 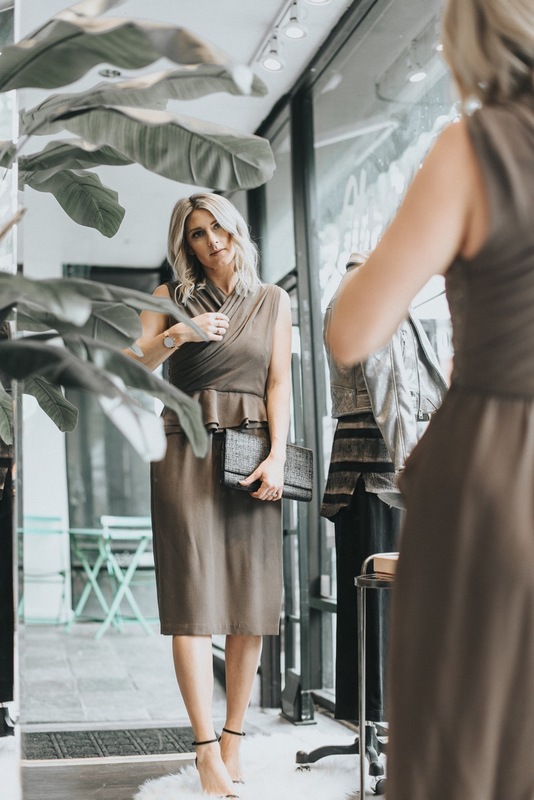 Paired with a metallic YSL clutch and classic Stuart Weitzman heels, this wedding look can be worn for many other occasions too! There is an entire rack dedicated to Aritzia in the shop, which I love. I am a huge fan of the brand, but it’s really nice to find gently used items (or in this instance, brand new) for such a great deal! 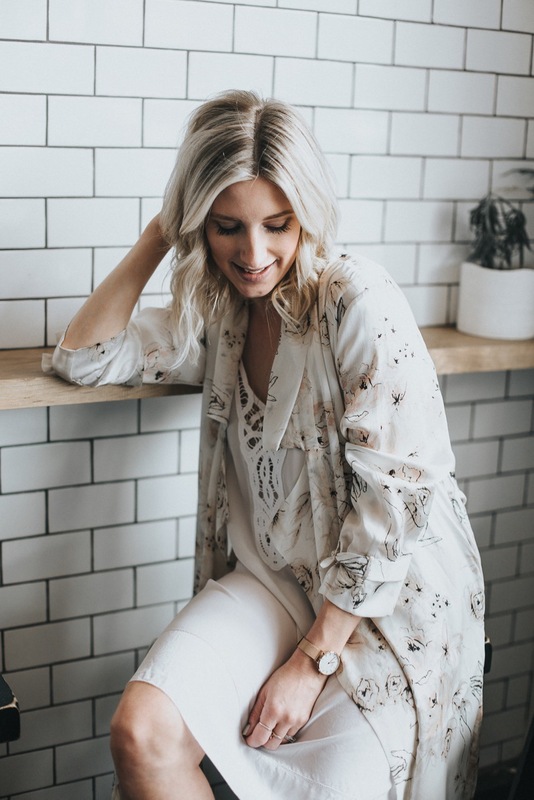 This outfit is great for work (depending on your office dress code), day to night, weekends, etc. and is nice and cool for the summer! 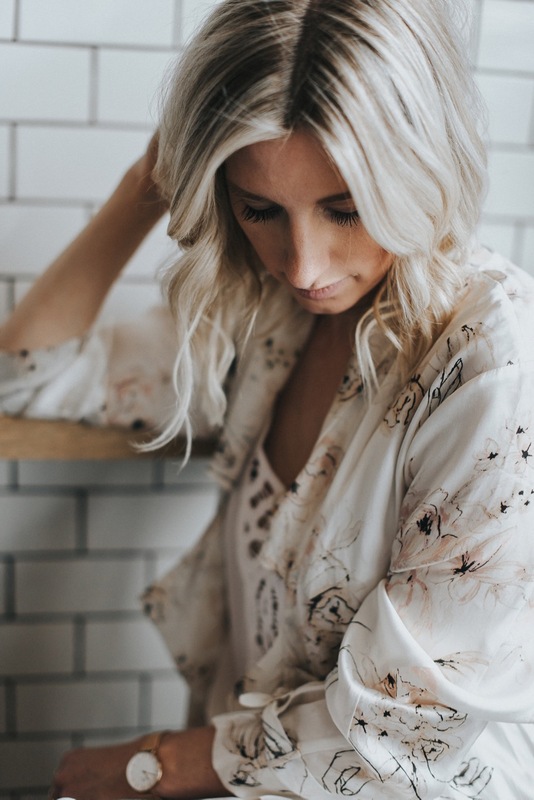 There are so many ways to wear this silk robe jacket, and the pattern offers a nice touch to any look. This is also an item that is brand new with tags attached! Aritzia dress & robe jacket paired with black Stuart Weitzman wedge sandals. 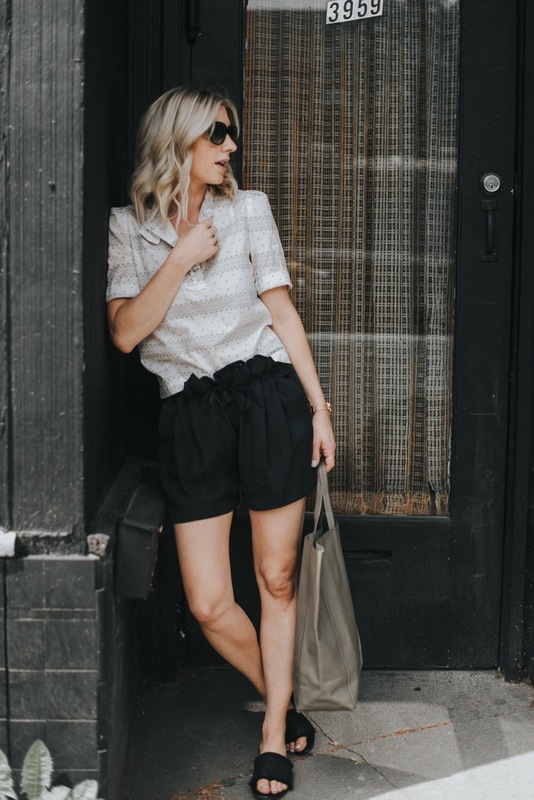 Summer shirts and shorts are at the top of everyone’s list this season! There are a wide range of styles available, including this Isabel Marant top, and Helmut Lang shorts. The “paper bag” waist offers a nice detail. The minimal pattern on this top makes it extremely versatile, and would also pair nicely with denim. The Celine leather tote is a great size, and could even be used as an airport/travel bag! So have I tempted you to do some shopping now??! 😉 I promise you you won’t walk out of this shop empty handed! In collaboration with Shameless Resale/ Photography by Idlewild Photo Co.